GlassLab Pure White Glass Dry-Wipe Boards are manufactured using 6mm Low-Iron Toughened Glass allowing an un-tinted transmission through the glass of the brilliant white paint finish on the back. ‘Low –Iron’ glass is optically absolutely clear due to the reduced iron content. It is the iron mineral traces that give standard glass its minty green appearance. 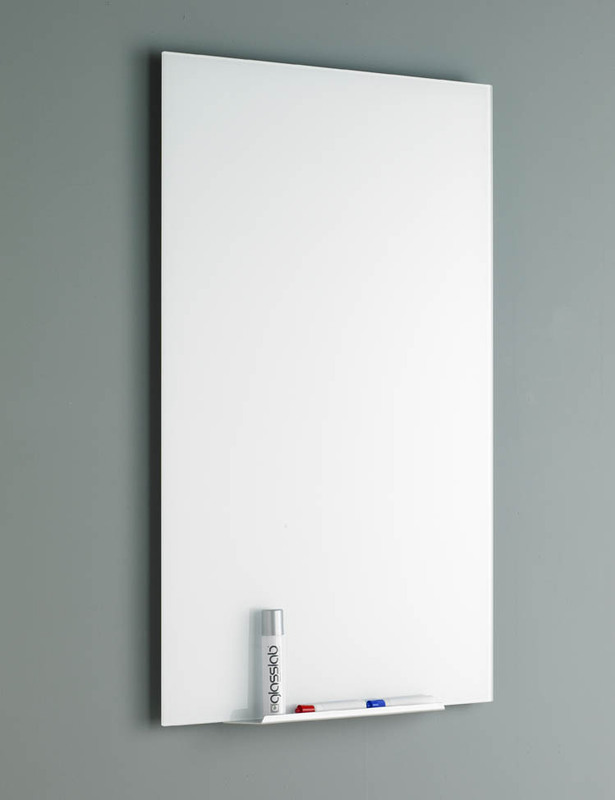 The Pure Brilliant White finish is the ultimate finish for a beautifully clean, crisp frameless whiteboard. 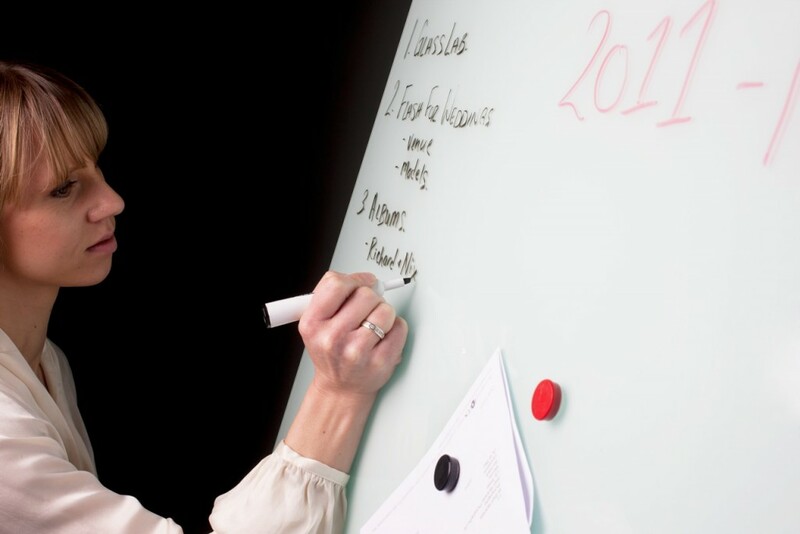 As per our other glass boards, our Pure White Glass Whiteboards are completely frameless. The specially developed back-painted glass is bonded to a unique steel back-plate ensuring the complete writing surface is fully supported when leaning on it to write. It also gives the added benefit of being completely magnetic making them ideal ‘ Glass Memo Boards’. The superior quality of our whiteboards is immediately evident. Their stunning appearance will enhance and compliment any work environment and the glass will retains its stunning ‘as new’ appearance for life. Permanent marker can be used for grids and constant features, but can be easily cleaned off when finished with. We can also provide a range of brightly coloured hi-power magnets, together with different sized SAA finished aluminium pen trays that attach magnetically to the back board.